VQV Furniture Group offers its office furniture manufacturing relationships and workspace d esign resources to serve all of your office furniture and seating needs. We feature quality office chairs for the executive suite, home office, conference room, call center, reception area, lunchroom and classroom. The quality and value of the office furniture chairs we offer, along with the discounts and service we include will fit any budget. As you select your office furniture and chairs you need to consider today's workplace requirements like height-adjustable workstations, ergonomic features, and workflow demands. Our office furniture and chairs can support these requirements and greatly improve the comfort and productivity of your associates. You can search our site, chat on line, or call our office design specialists with questions about our office chairs, or about any of the office furniture needs you may have. As an added benefit, we ALWAYS offer FREE SHIPPING on ALL of our computer office furniture! 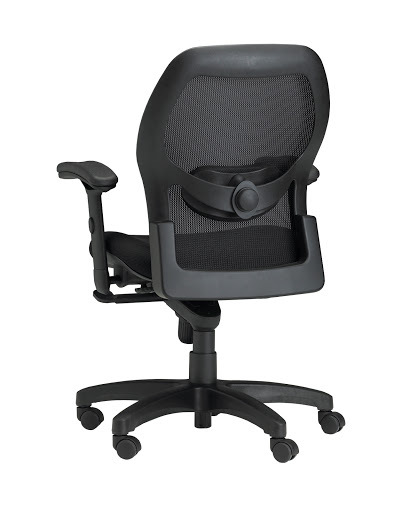 VQV Furniture Group delivers discount office chairs with Verified Quality and Value. Talk with our office design specialists toll free at (877) 878-8770. Search the VQV Furniture Store for savings on all your purchases of office furniture, office chairs, and executive desks. Mayline Comfort Series Chairs - All of the chairs in the Comfort Series provide a balanced seating environment to help reduce stress on the muscles of the thighs, back, neck and shoulders. The inflatable lumbar support on all models have an orthopedic design to give customized adjustment. Several models feature a suspended tailbone cut-out that allows the tailbone to free float, reducing fatigue and pressure on the lower back. Mayline Ultimo Leather Chairs - Ultimo offers distinctive styles and luxurious comfort you would expect from high-end office chairs, but at a fraction of the price. Crafted with top-grain leather, sculpted dual-density foam, detailed stitching, and full-featured adjustments, Ultimo is the ultimate in executive desk, and conference room seating. Mayline Valore Folding Chairs - These classroom and training room chairs from Mayline will turn an ordinary room into an extraordinary training center for your students. Take a look at the advanced features of these training room chairs. Mayline Mercado Mesh Chairs - This Executive Office Chair Has Solid Frame Construction, Durable Mesh Fabric Seating, Molded Foam Cushions and a Range of Adjustments For Added Comfort. Copyright © 2004 iDEA Management Corporation. All Rights Reserved.